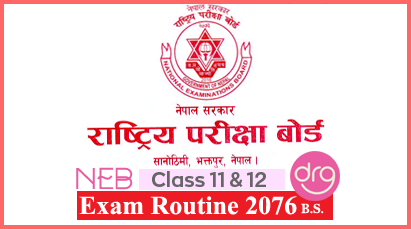 Summary | Wordmeanings | Translation In Nepali | Question-Answers of "Concrete Cat". 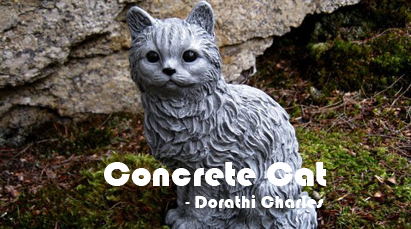 "Concrete Cat" was written by Dorthi Charles. Perhaps the poet wants to tell us about a cat’s ‘catness’ (greediness) in action. Therefore, he has drawn a picture of cat with the help of words, not with lines. 'Concrete Cat' can be seen with our eyes immediately. In such poems outer appearance is more important than emotion and thought. Language is reduced. In this poem, the cat is made up of different parts of body according to their places. The cat’s ears are alert. They have capital ‘A’ in the middle. The cat’s eyes are wide open which is shown by capital ‘Y’ in the middle of the word ‘eye’. The cat’s tongue is a ‘U’, which means it is hanging down. It presents the greediness of the cat. Though it has killed a mouse, it is drooling over dish. The upside down ‘mouse’ shows that it has been killed. Nearby, there is a litter-bin. The cat has black stripes all over its body. Its tail has also black and white pattern. In the middle line of its body, the cat has stomach tissue. Answer: A indicates the cat's upright pointed ears. Y shows the cat's open eyes and U shows the cat's tongue. The spaces between letters of tail show white colour and the letters show the black colour on the one hand and on the other hand it shows a long tail of the cat. Answer: The word 'mouse' is upside down because the mouse has been already killed. Answer: The first meaning is the long band of strip on the cat and the second meaning of it is the inner part of the cat. Answer: Yes, this type of work can be called a concrete poem. Such poems are for eyes not for mind and heart. It doesn't appeal to the heart because it doesn't emphasis on emotion and thought. It emphasizes just speech. Such words make pun on stripe. 'Tripe' and 'stripe' have different meanings. Translation In Nepali Of "Concrete Cat"
Question Answers Of "Concrete Cat"
0 Response to "Concrete Cat | Summary | WordMeanings-Translation In Nepali | Question Answers "